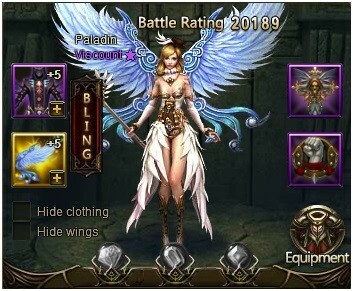 There are cosmetic items in League of Angels that also give boosts to Battle Rating. Known as clothing, these pieces may be acquired from various events, shops, and rewards. 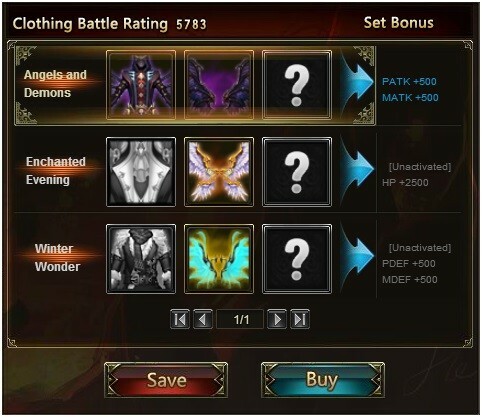 Clothing is equipped independently and can form sets that give additional bonuses. Players do not have to worry about losing stats when equipping new clothing. All clothing stats stack. They must be equipped at least once and in your inventory to get the stat boost. In addition to clothing, characters can also acquire medals. They are bought with honor points earned in Cross-Server War. Although they do not provide cosmetic effects, they provide substantial battle perks. 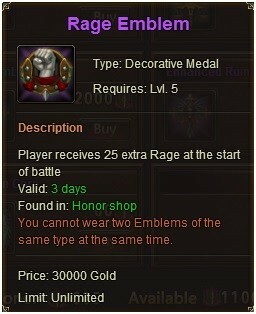 For example, the “Rage Emblem” allows players to start the battle with 25 extra rage.